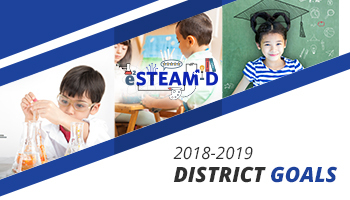 We are here to provide leadership, coordination, and support regarding curriculum, assessment, professional development, special projects and all programs within the division. Educational Services has a talented staff organized by departments that are committed to teamwork in providing high quality services to support the work of our 23 schools where diversity is celebrated. Our work is aligned to support classroom teachers, staff, and site administrators to offer the best quality programs. We continue to sharpen focus on student learning and believe in continued and on-going improvement of services. We believe that ALL students will feel connected and build strong relationships, engaged in the learning process each day, and grow through a variety of educational experiences. Families who are actively involved in their child’s education play a vital part in the success of their children. Thank you for making your child’s education a priority.